The McCarkiss Endurance Project Team can finally unveil its new club kit, designed in house by the MCKEP specialist design team, and produced by Fastrax. 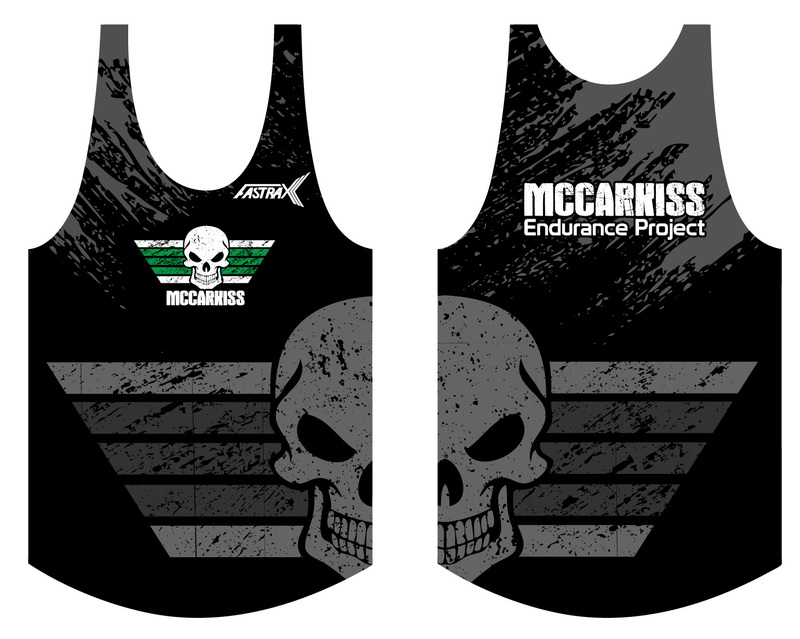 In a blaze of glory, the ‘old’ McCarkiss Elite Project branded kit has been officially retired following emphatic victory in America… in the US equivalent of the WRRL, McCarthy Jnr and Snr proudly donned the ‘summer’ variant of the MCKEP kit to take both the overall victory and the Masters titles in the 2015 Pirate Treasure Trot. It’s fitting that we retire the vest in the US, on the doorstep of the completely unrelated Nike Oregon Project which is only 3000 miles from here. I’m so happy to have been dubbed Overall Champion Treasure Trotter – it’s a testament to the hours and hours of hard drinking I’ve put in over the last few weeks. I’m emotional to say the least. August 27, 2015 in General Garbage, Race Report & Previews, Training Sessions & Plans.